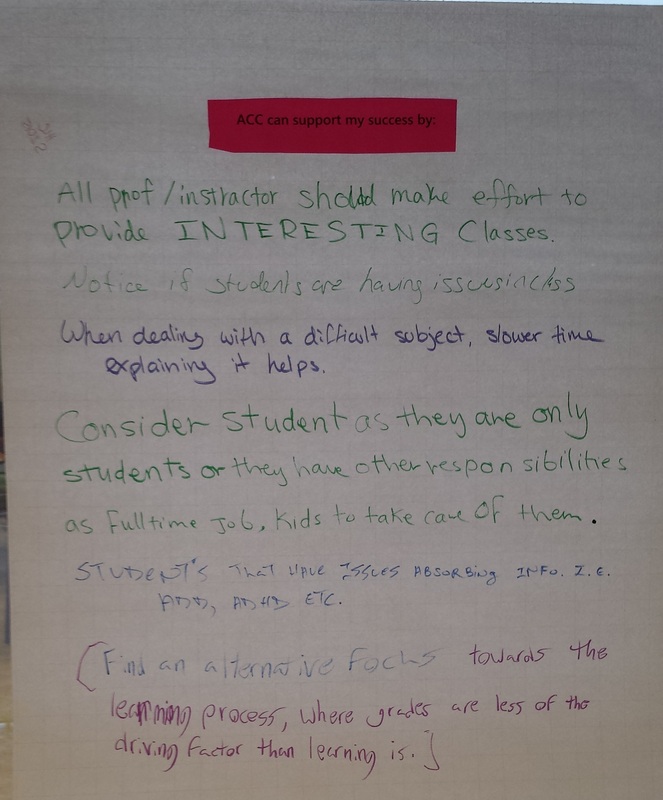 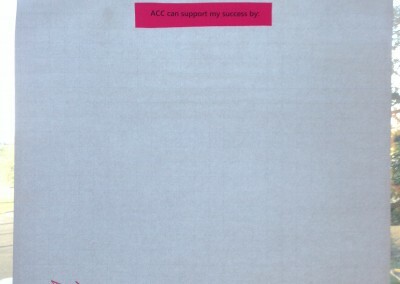 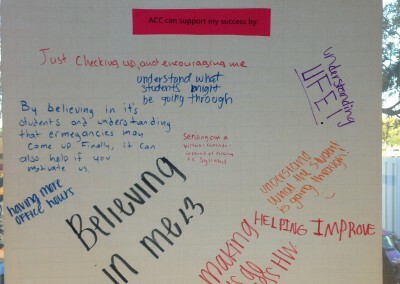 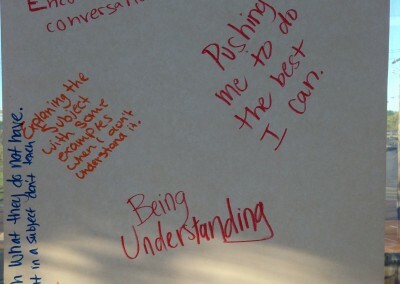 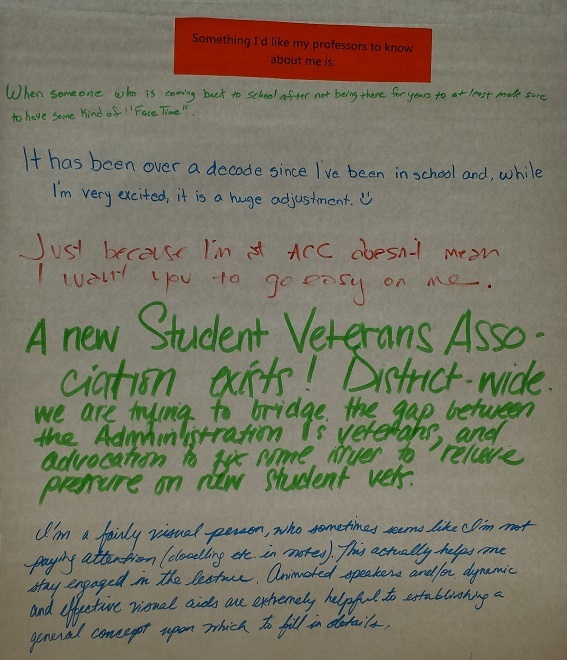 Student success is at the core of ACC’s mission and values. 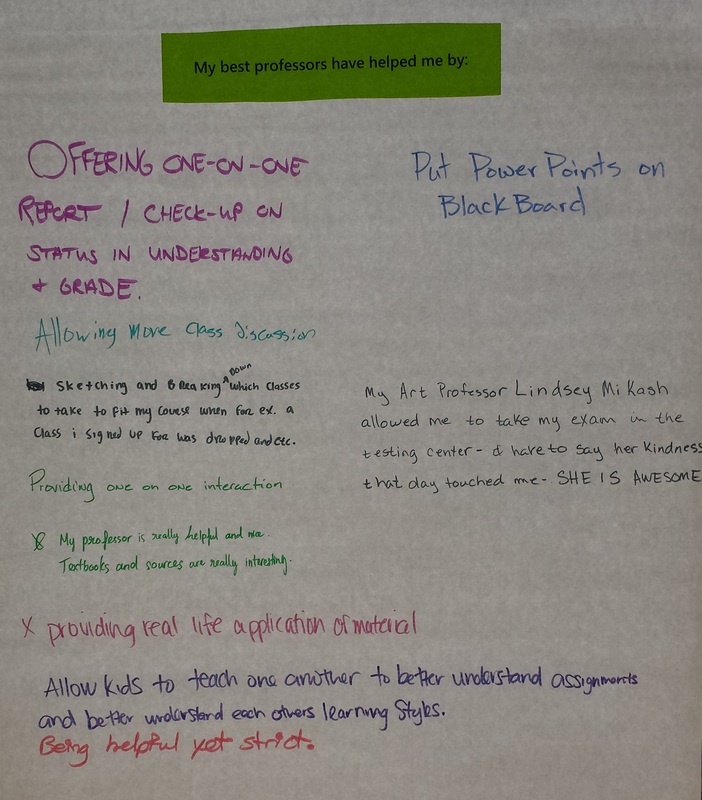 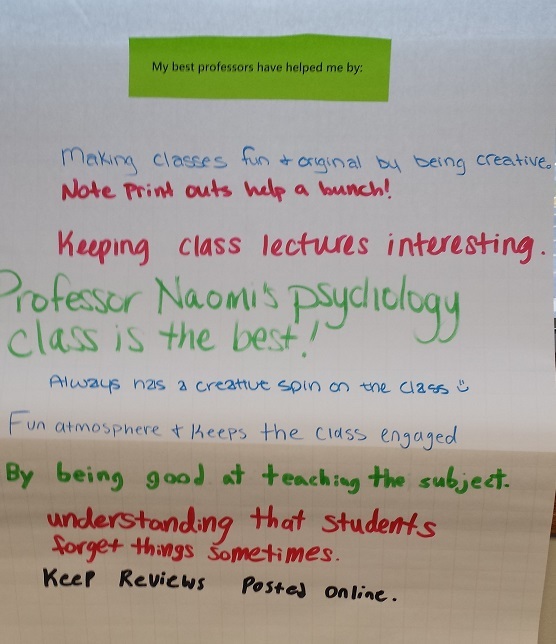 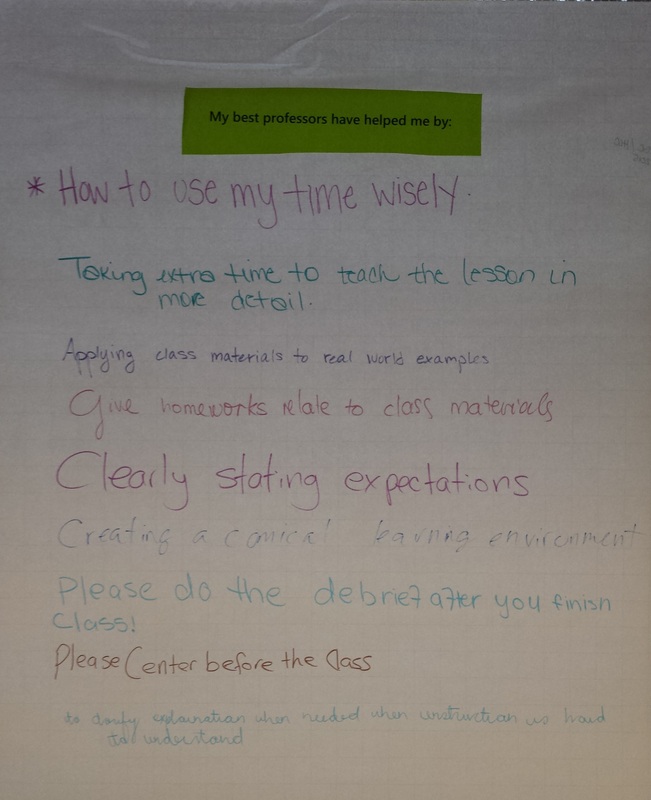 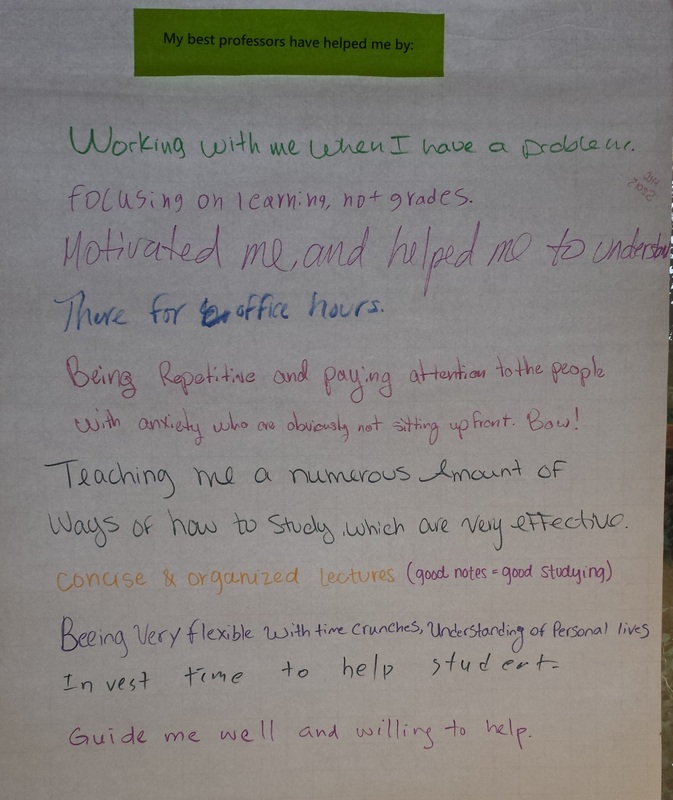 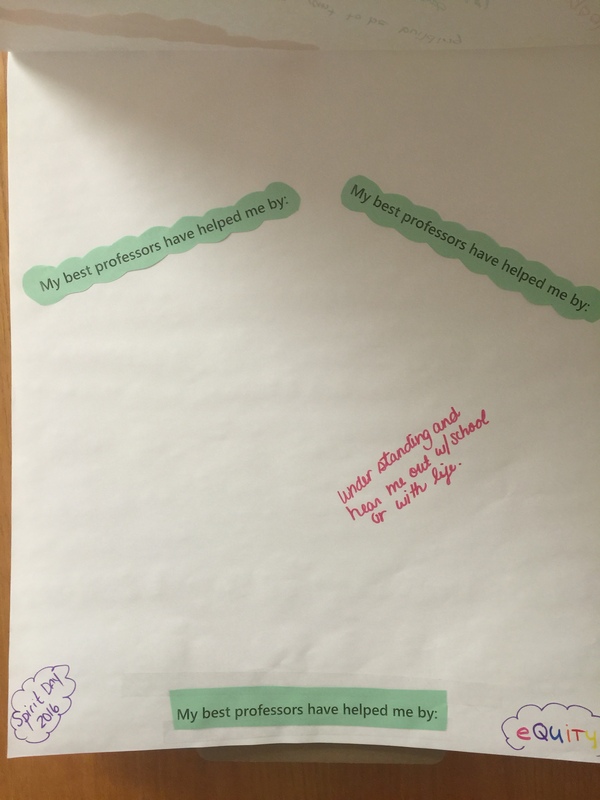 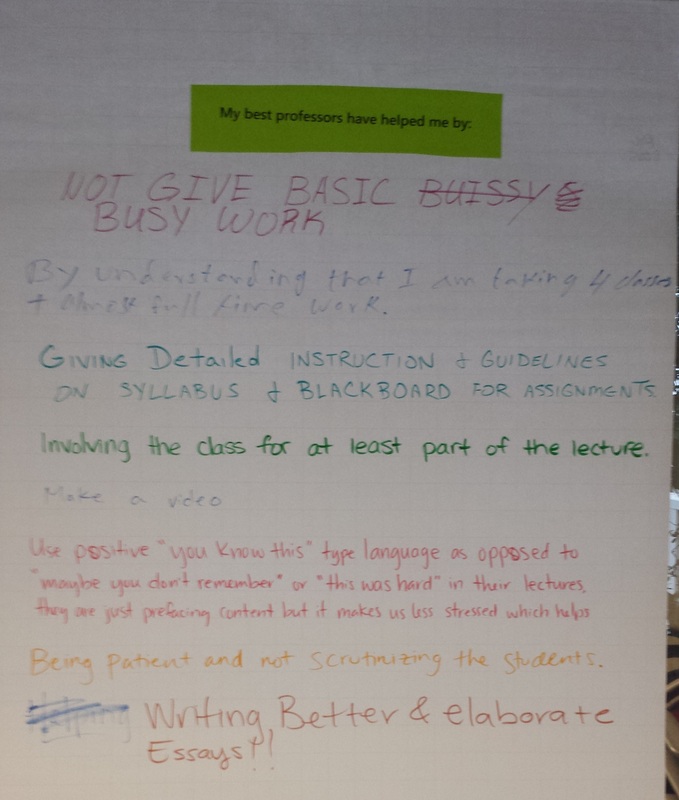 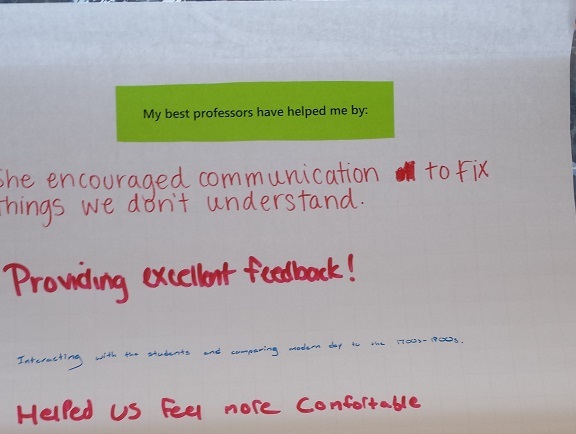 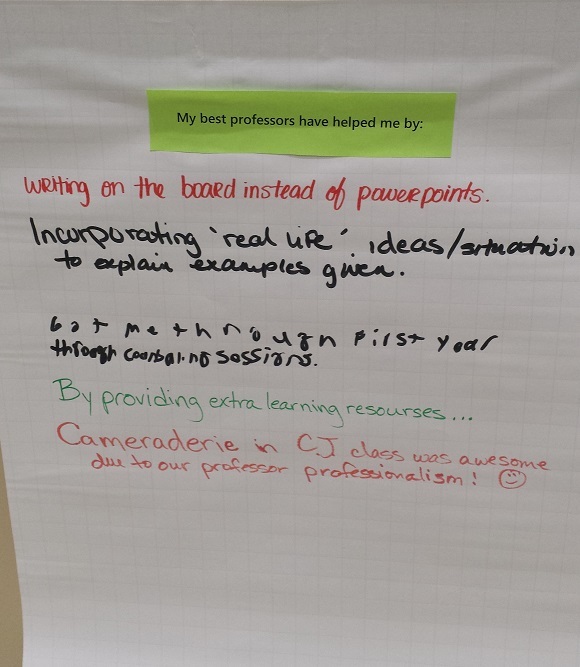 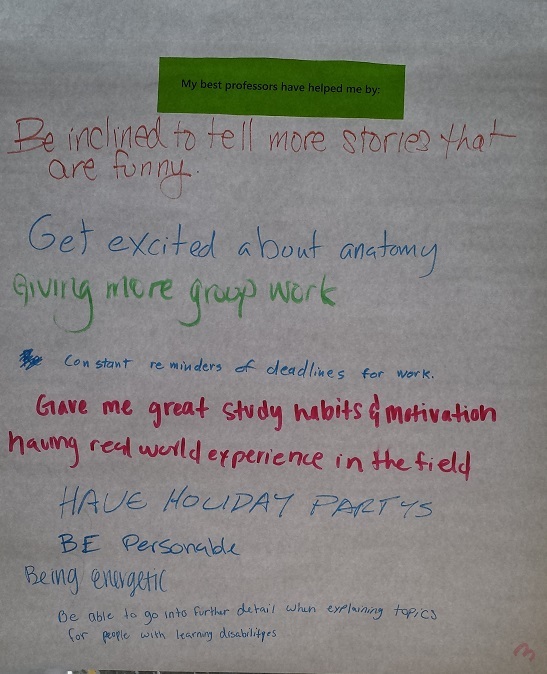 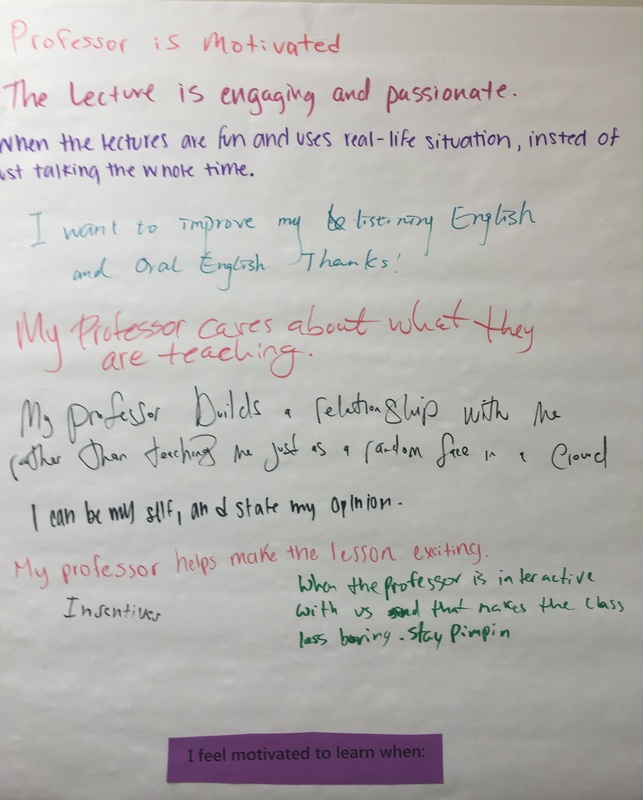 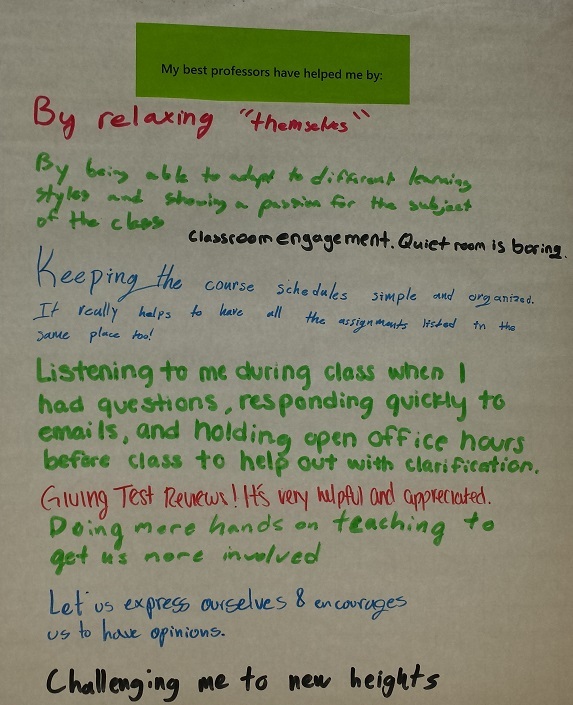 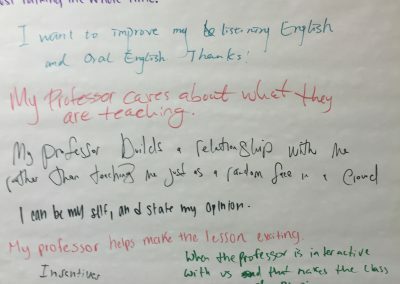 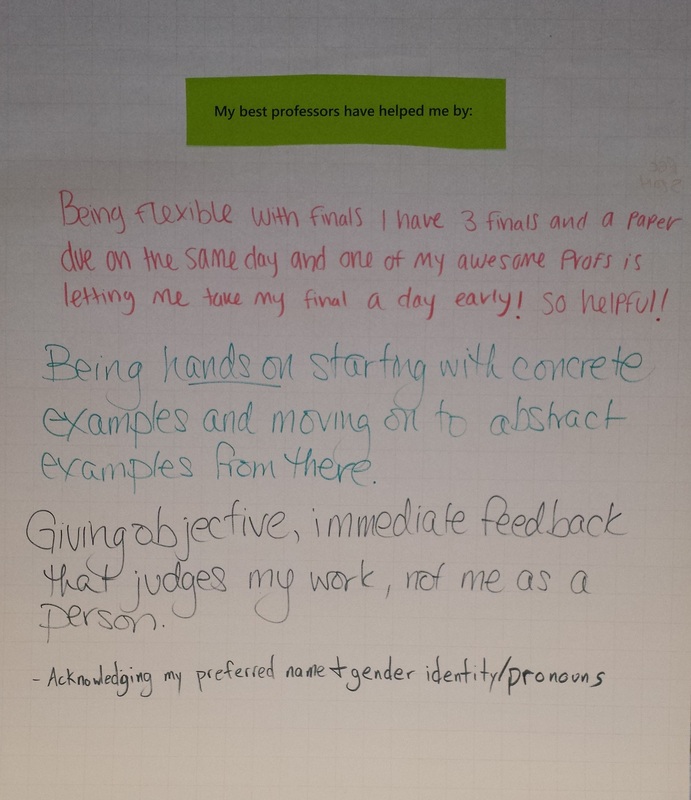 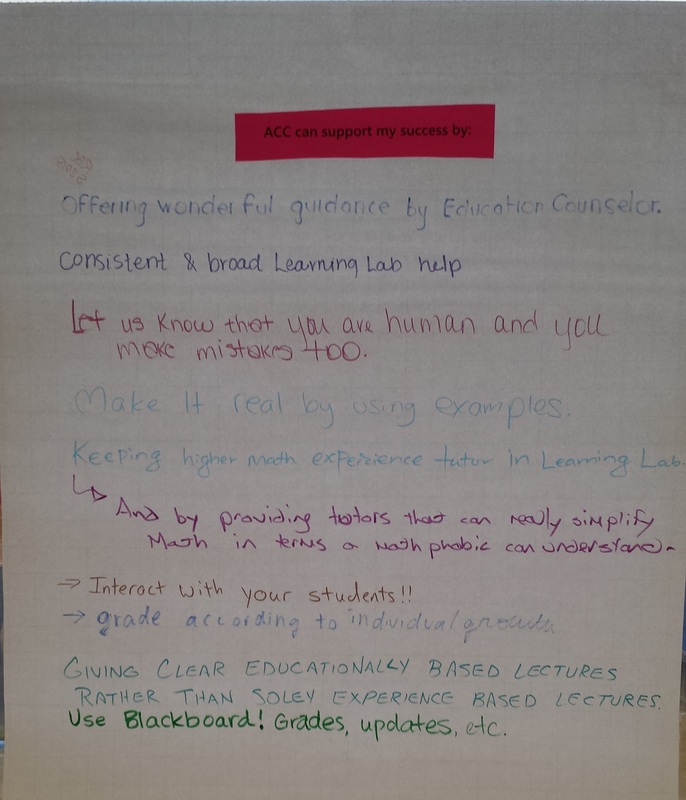 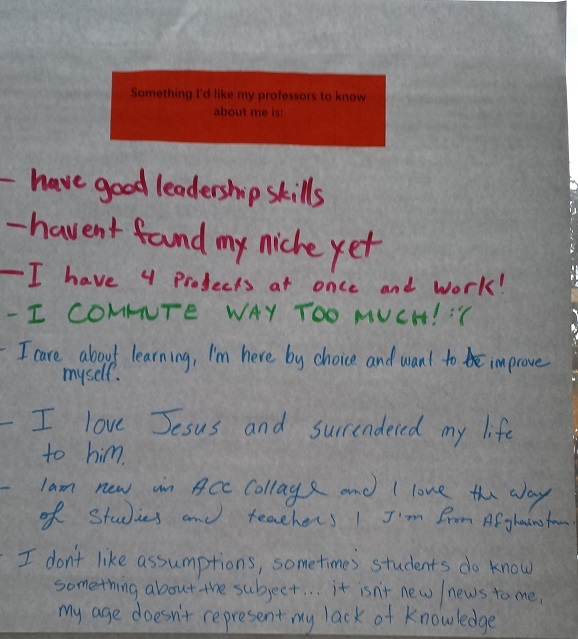 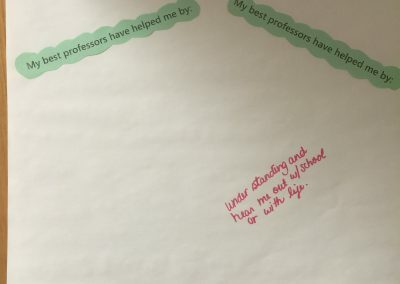 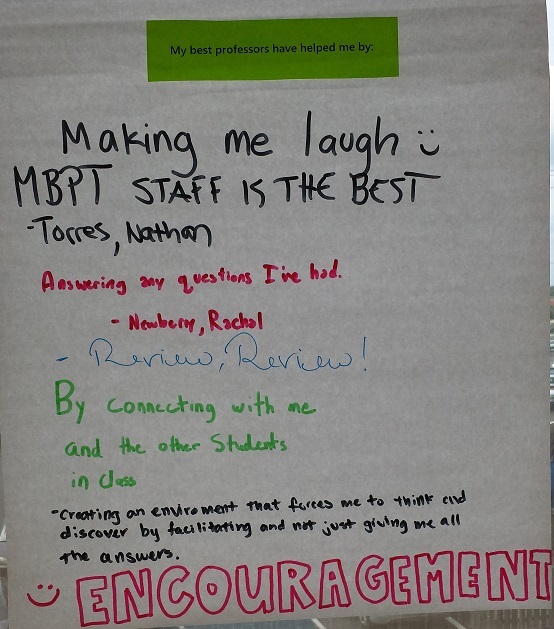 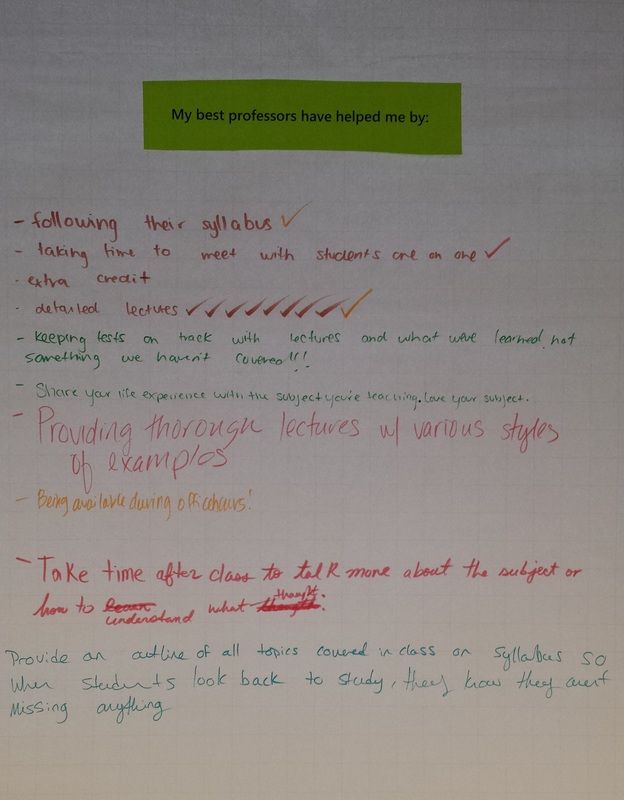 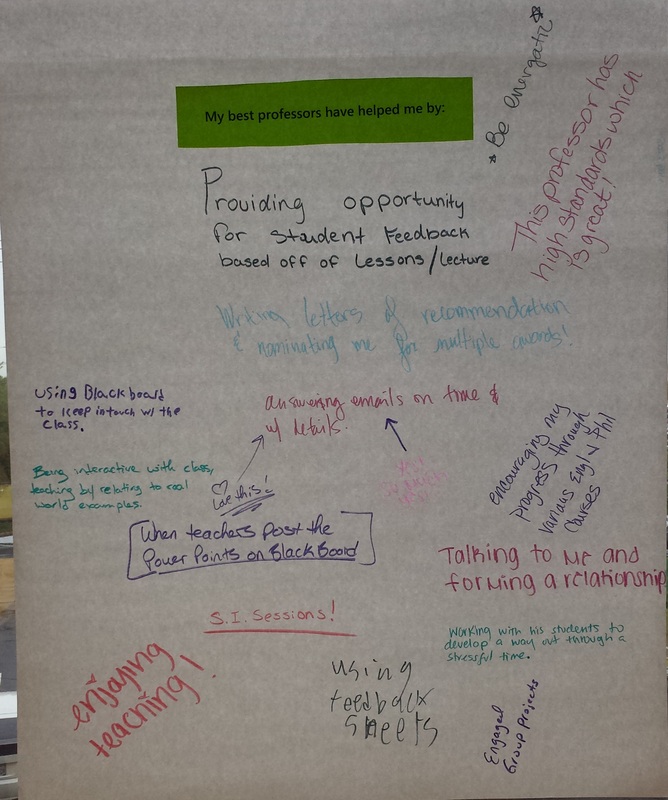 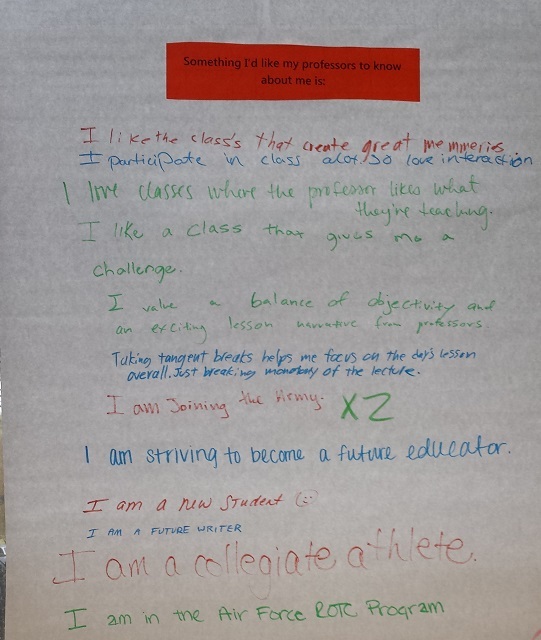 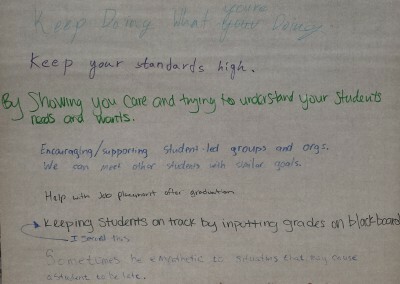 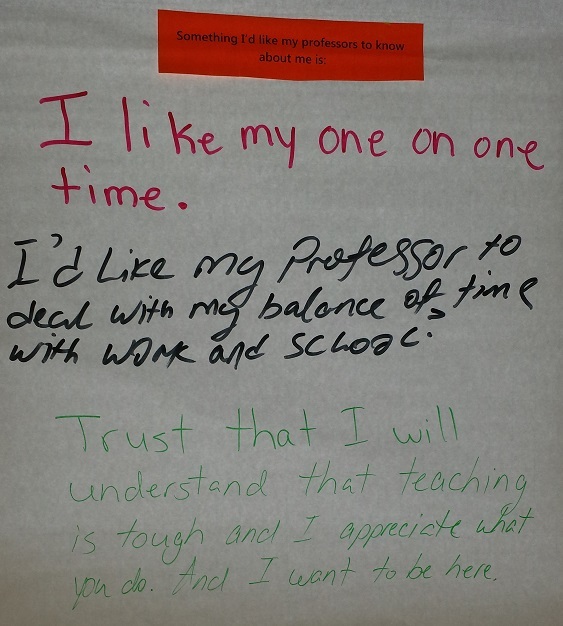 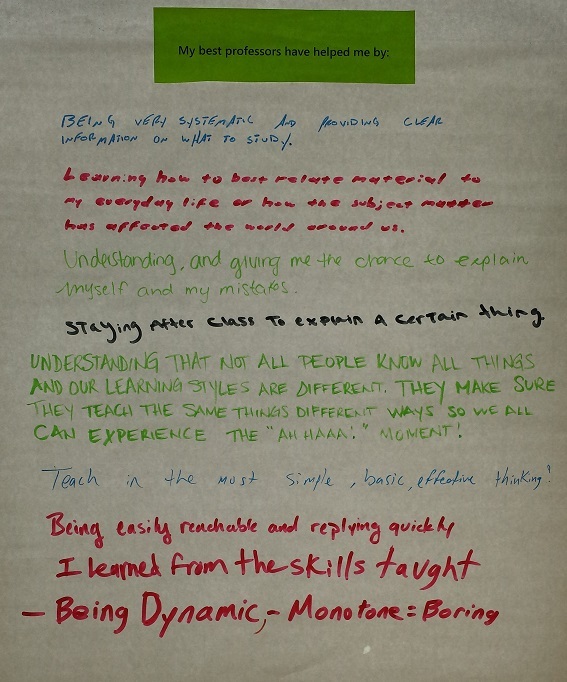 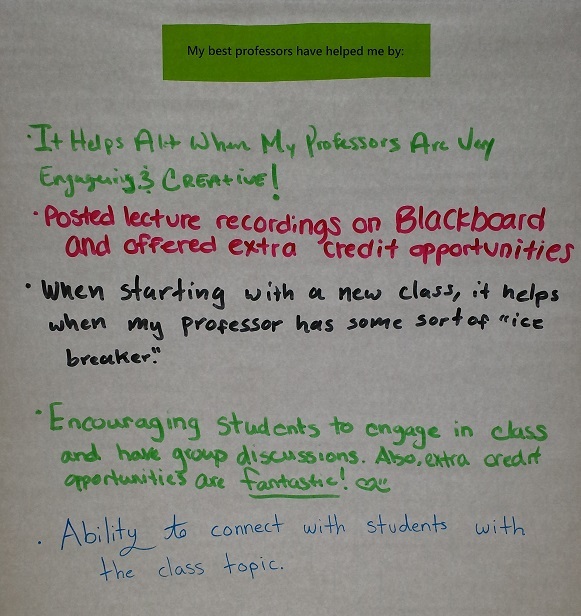 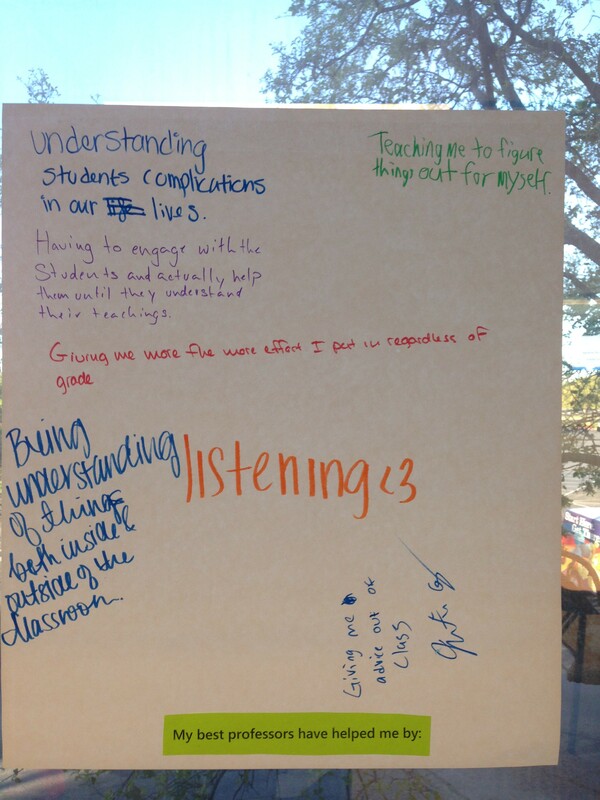 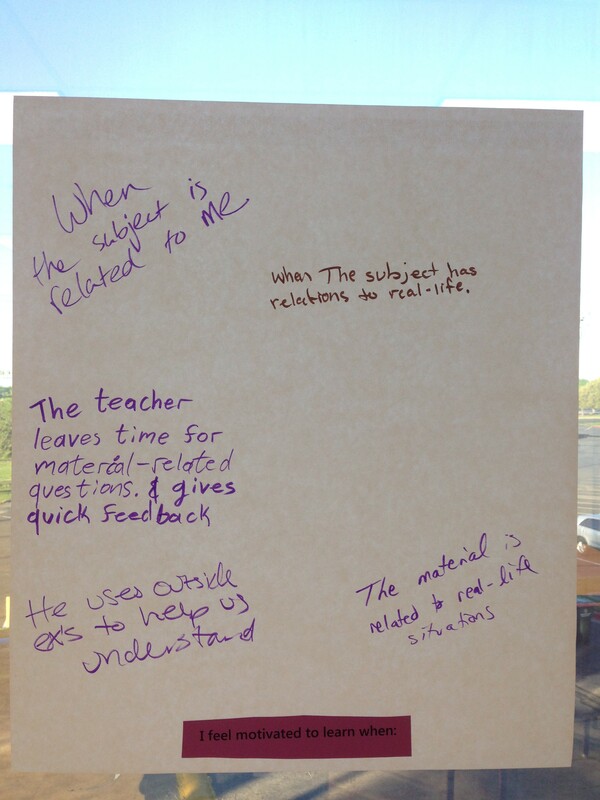 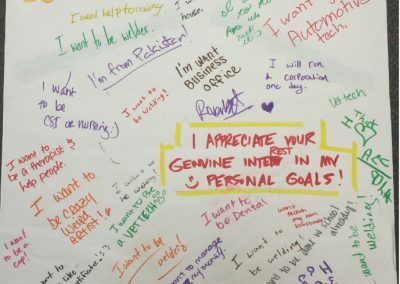 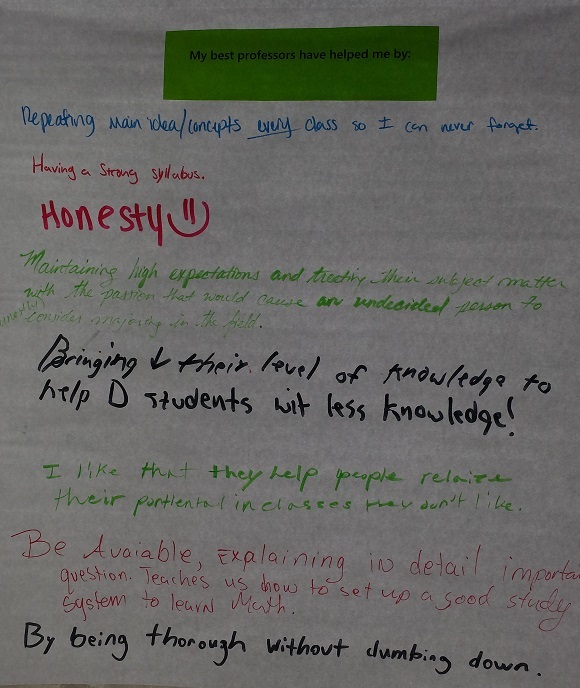 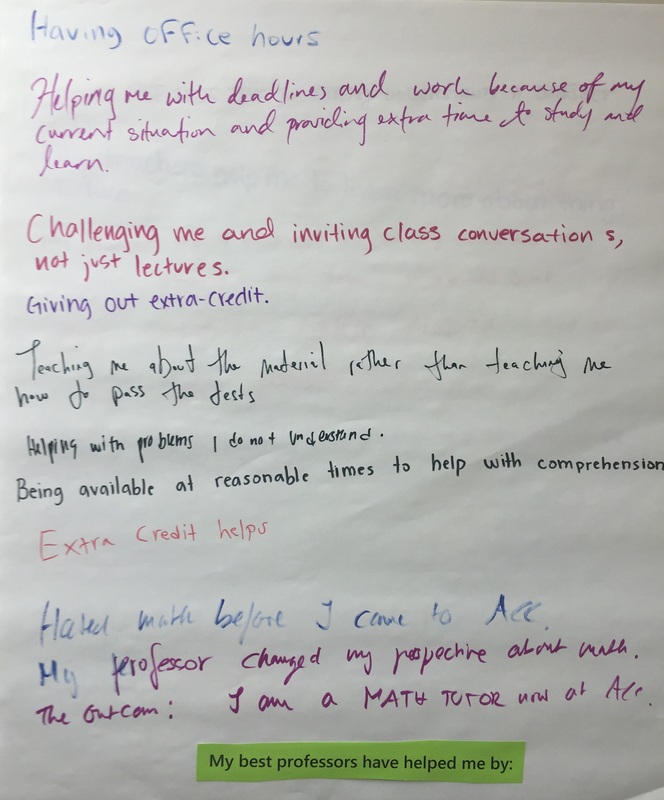 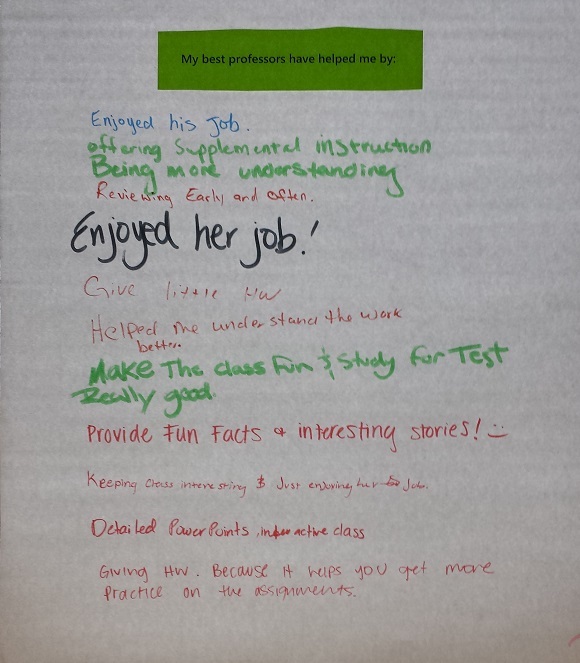 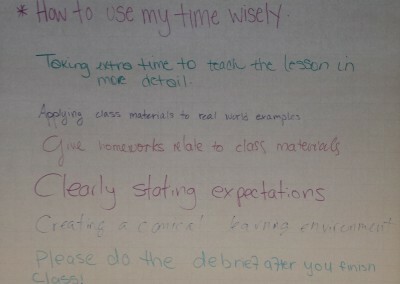 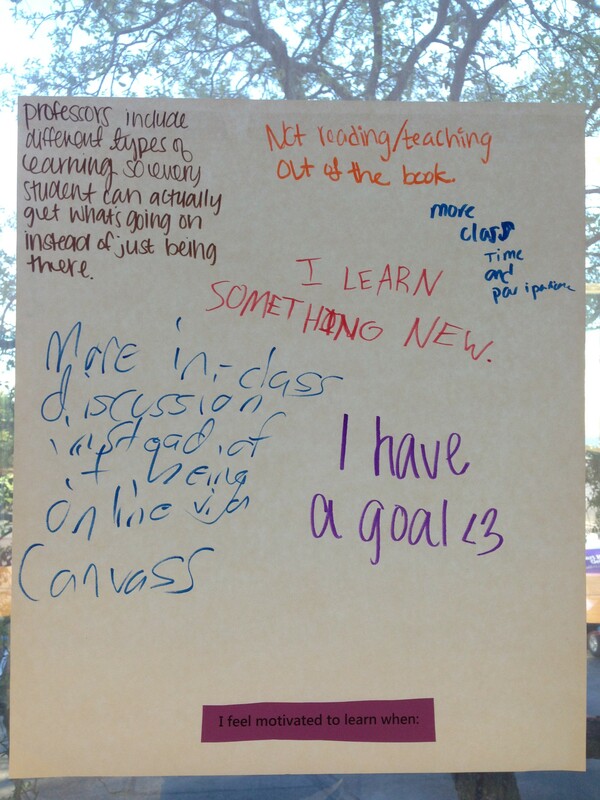 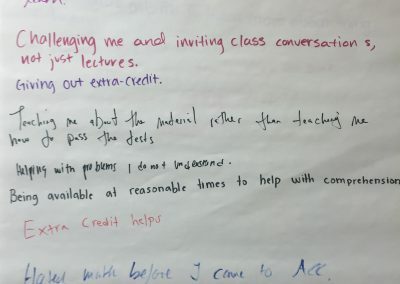 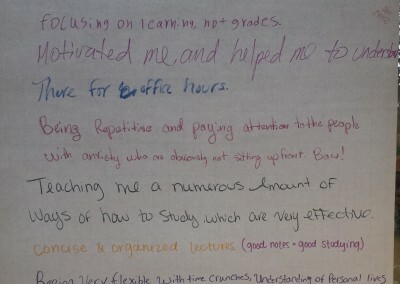 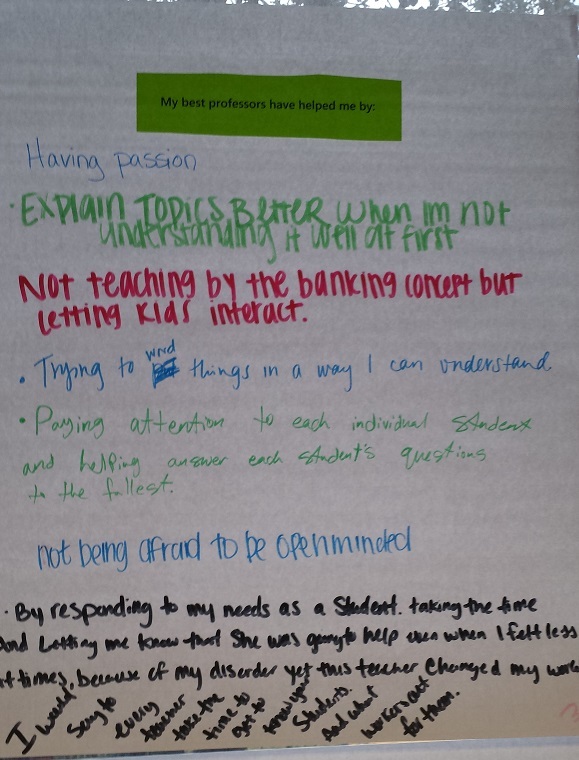 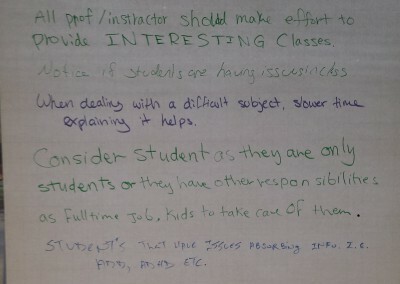 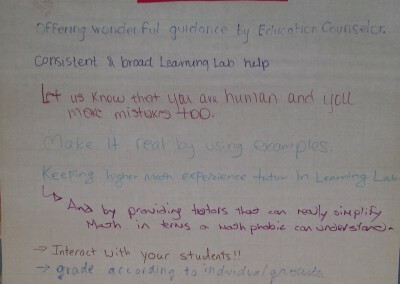 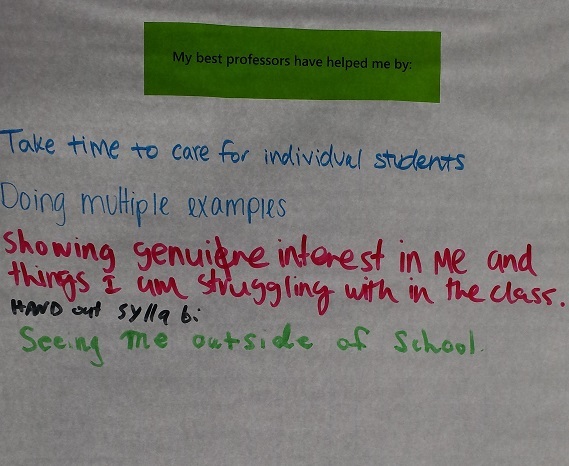 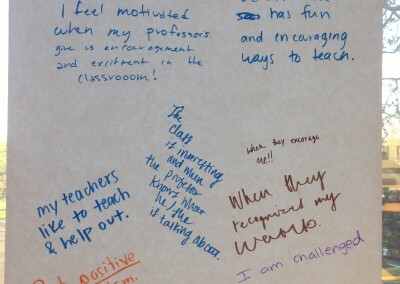 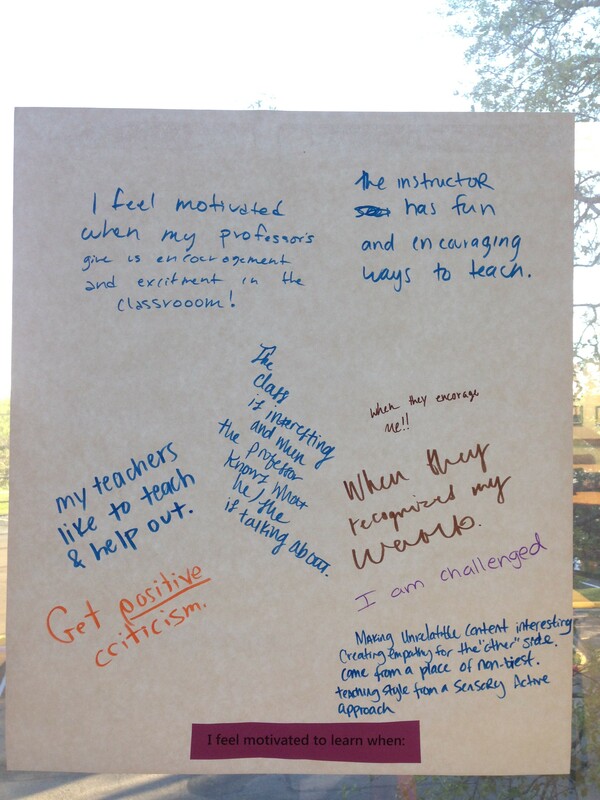 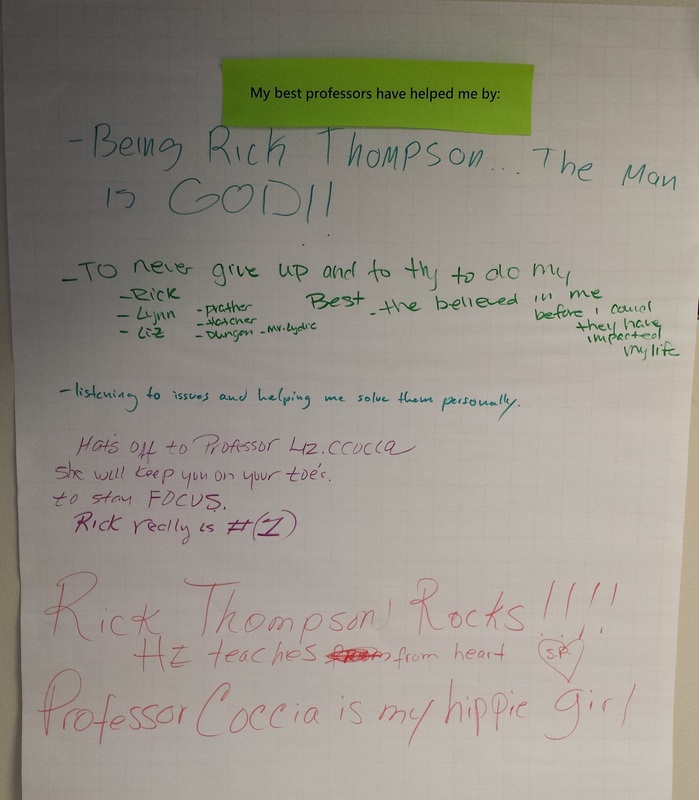 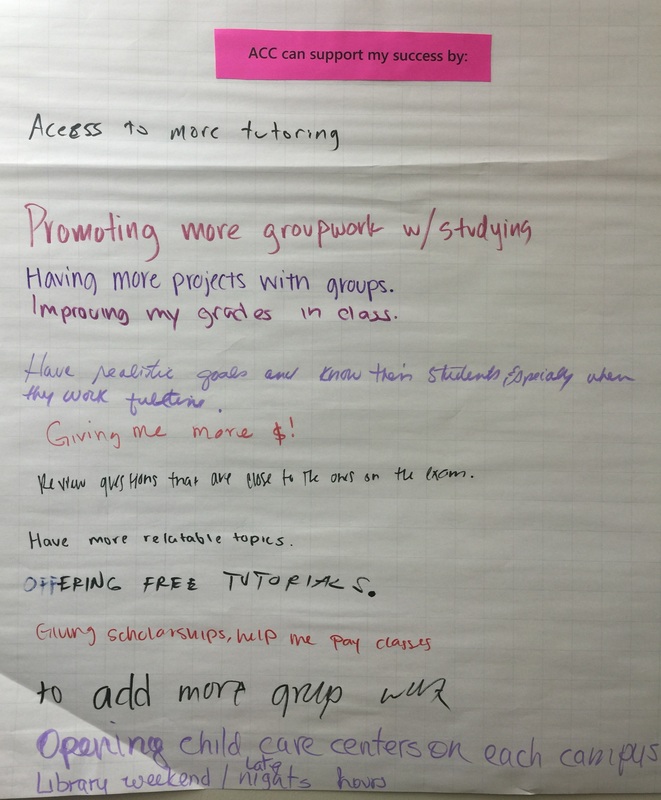 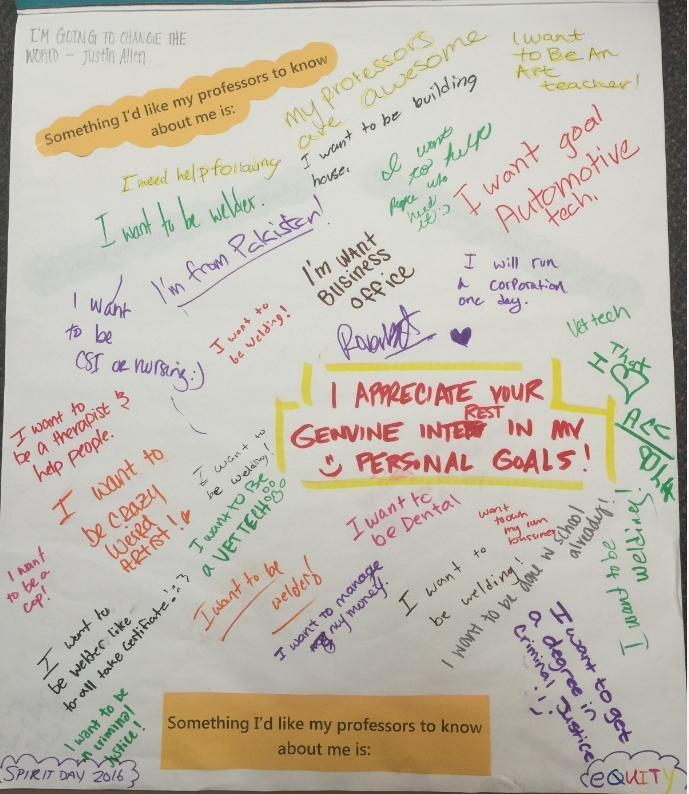 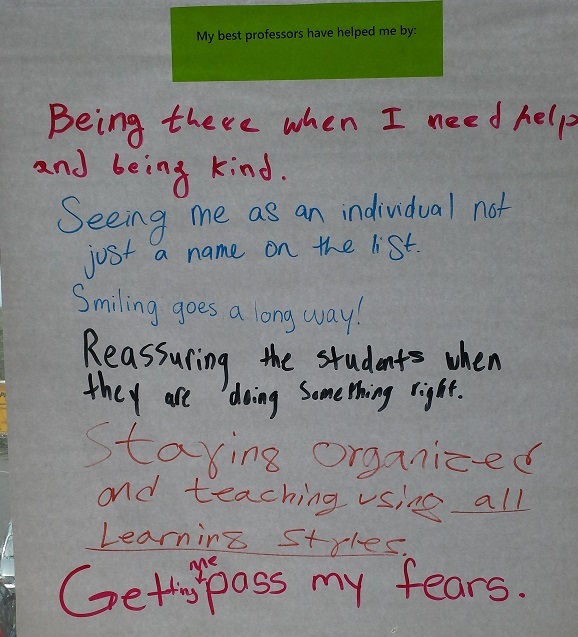 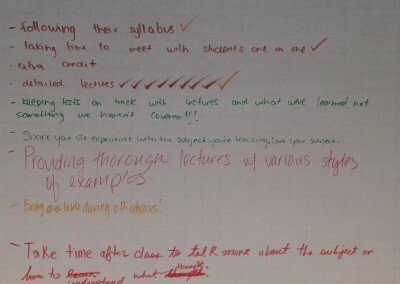 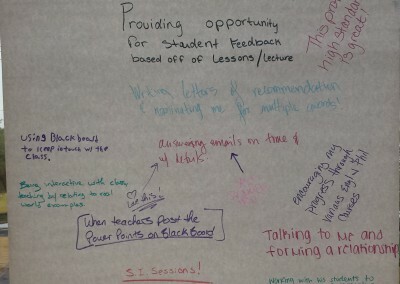 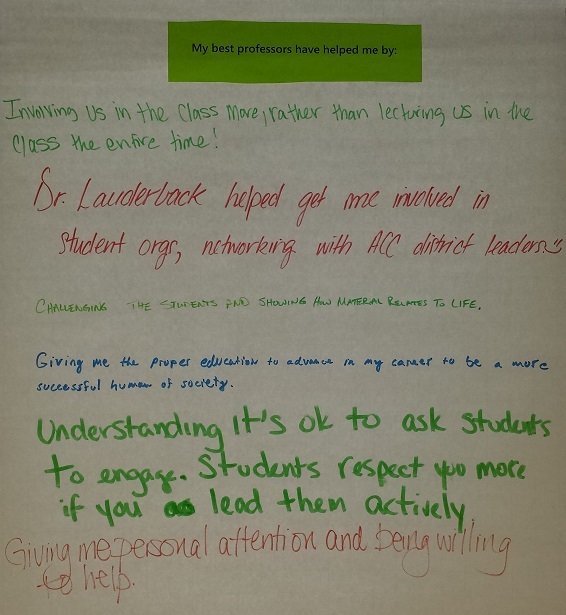 These goals prompted the Faculty Center for Teaching & Learning to set out in search of student advice on instructor best practices for what helps them become successful. 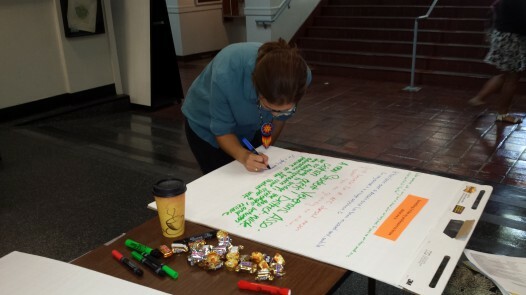 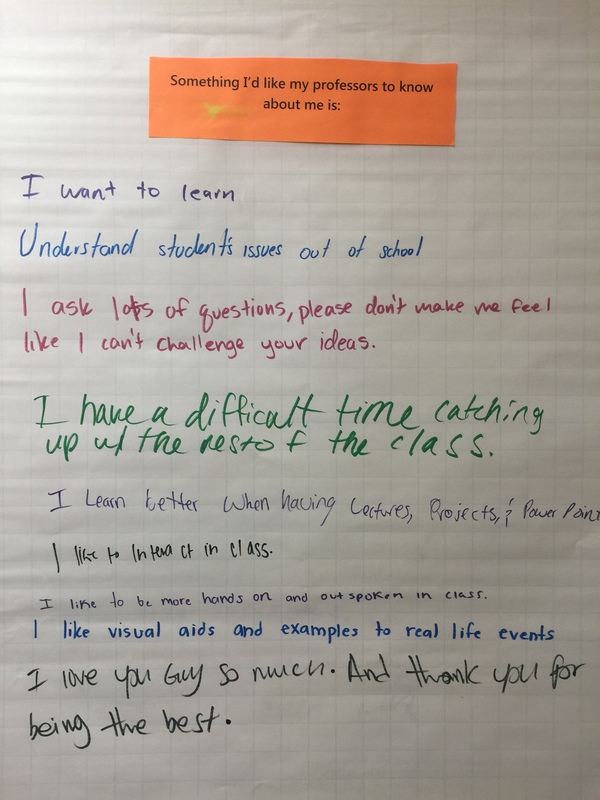 Students were excited to share their experiences and stories in exchange for candy. 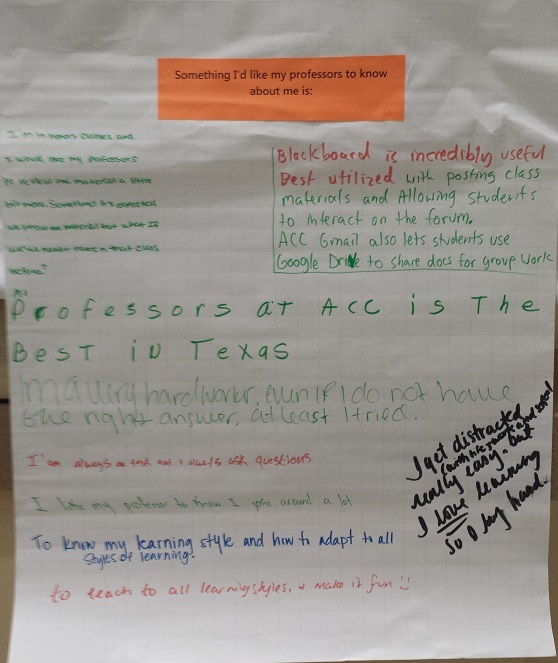 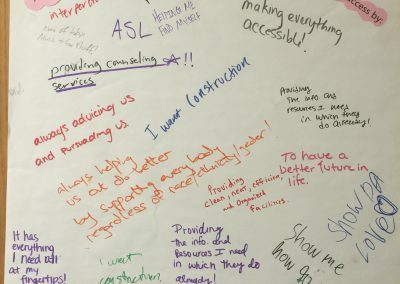 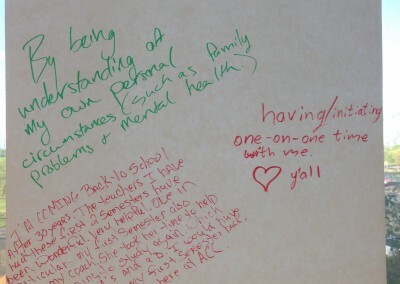 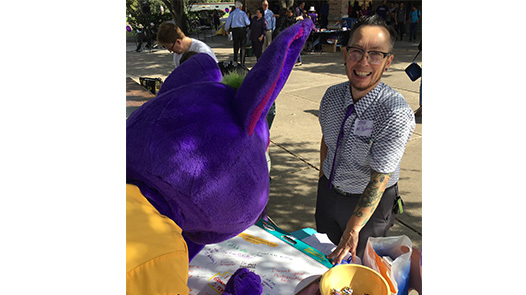 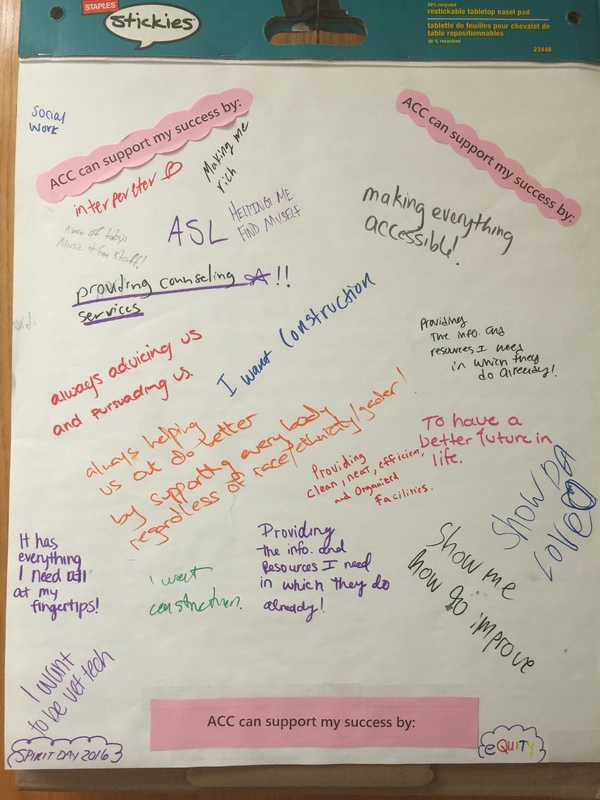 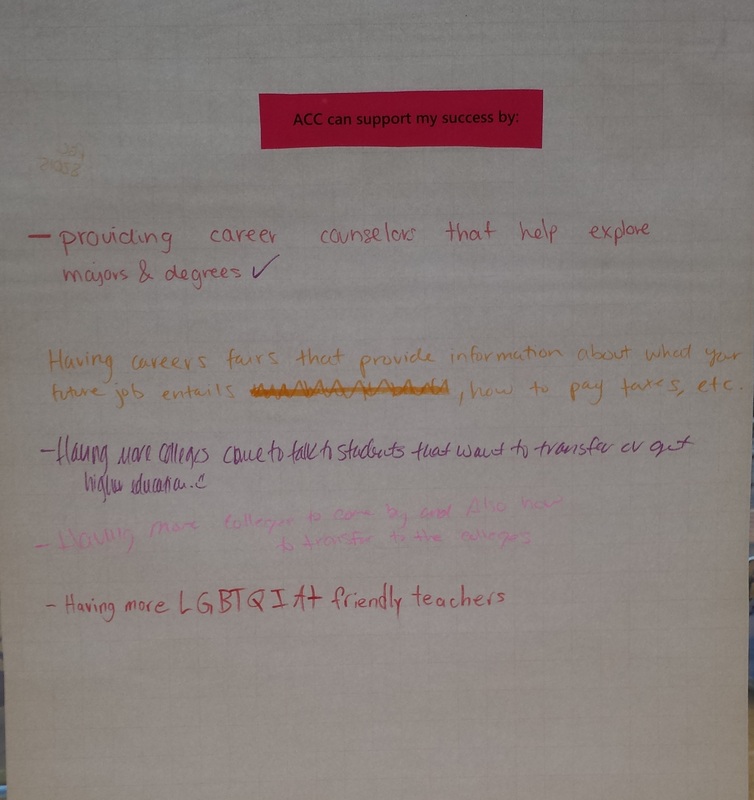 FCTL staff has now visited every ACC campus as a part of this project, and new questions and campuses are being added – check back later to see more student comments. 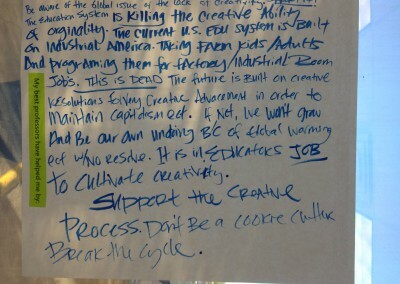 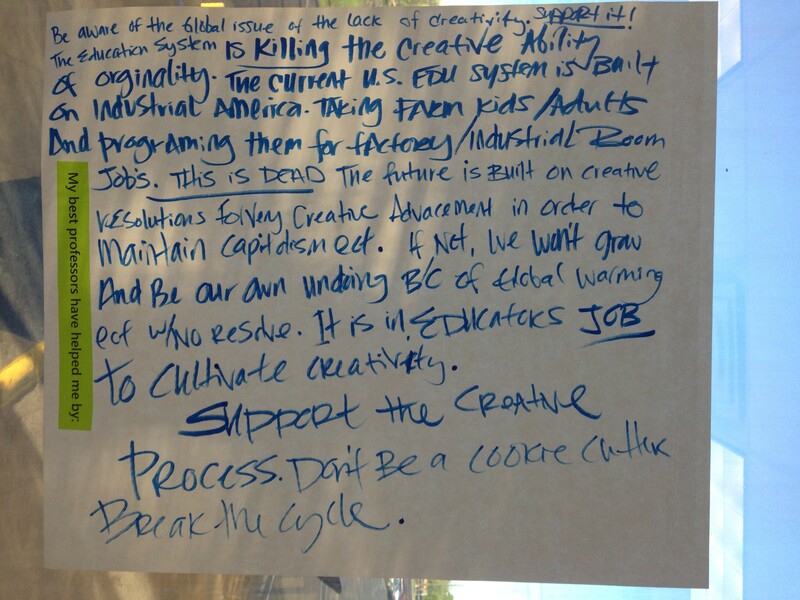 Interested in participating in a graffiti session? 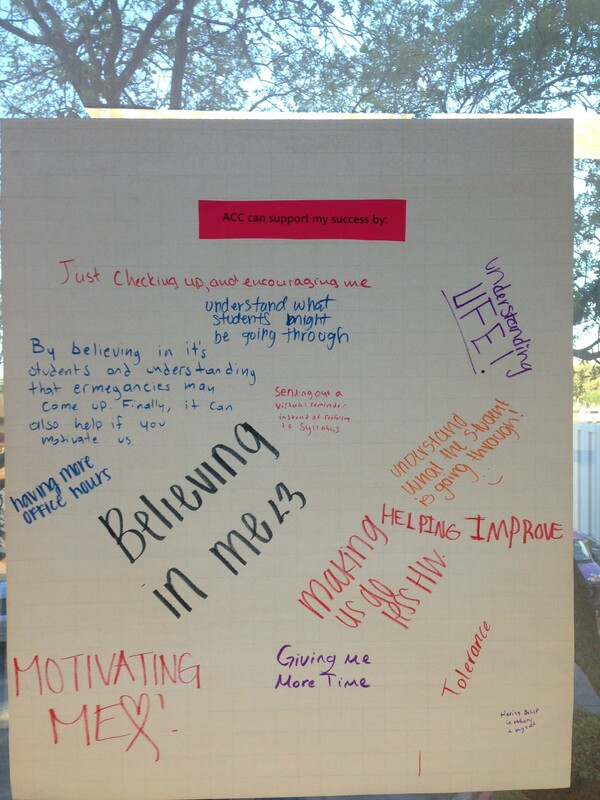 Go here to get involved with FCTL events! 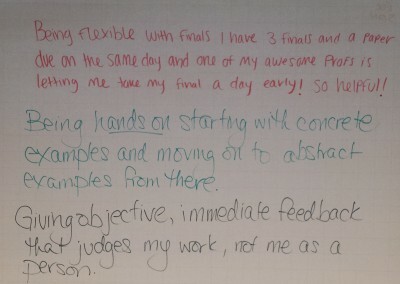 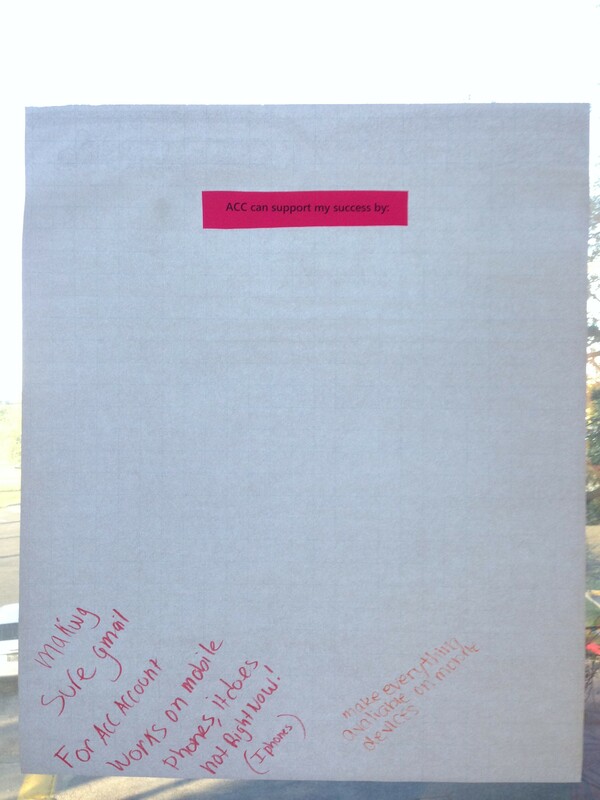 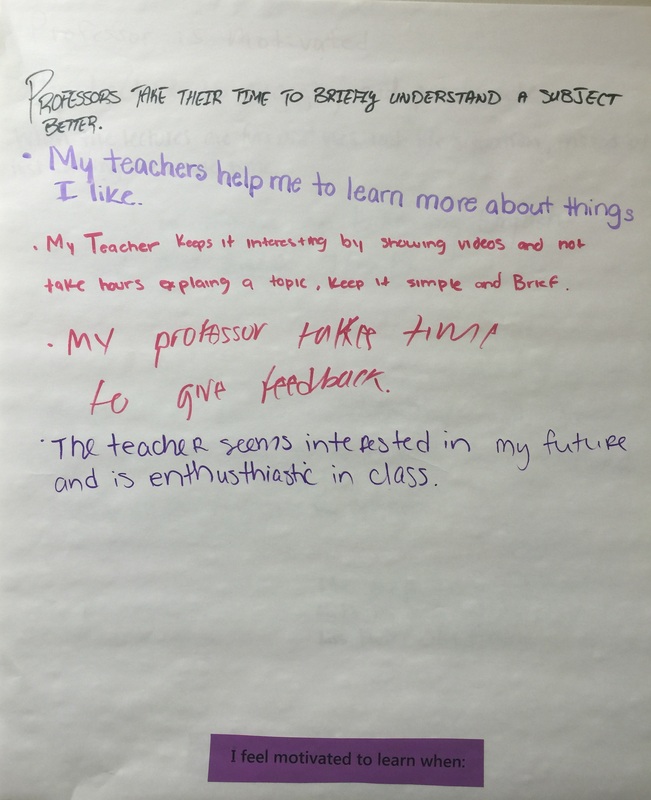 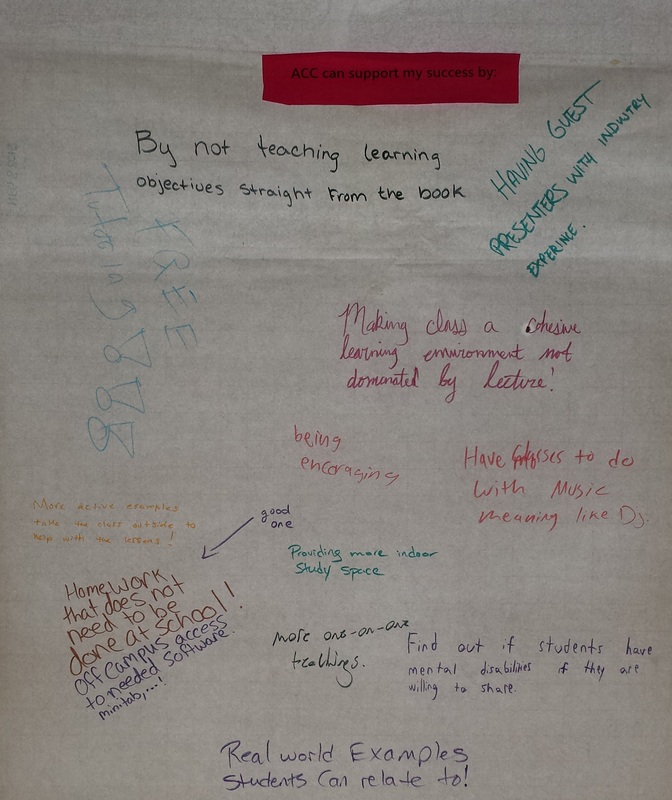 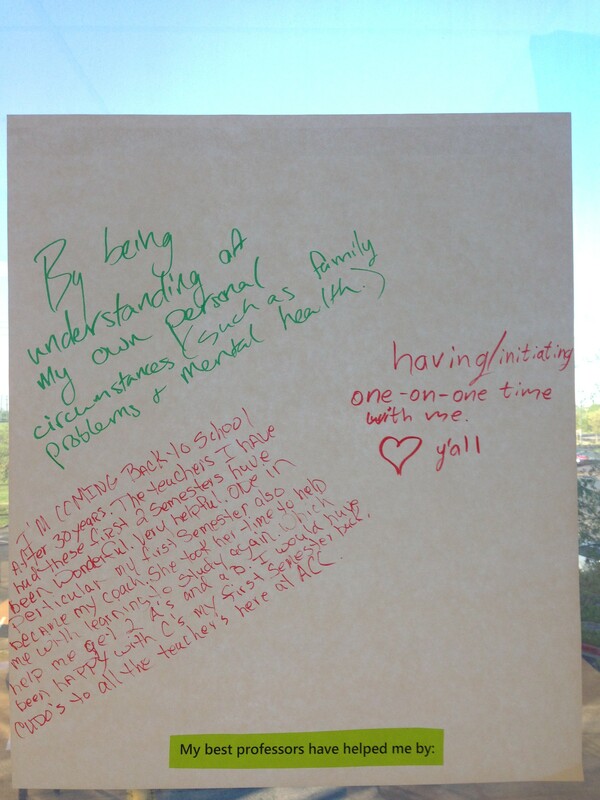 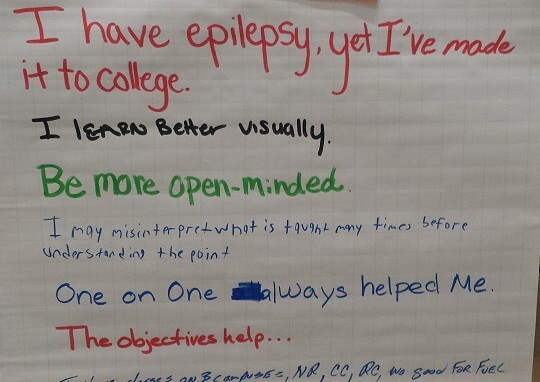 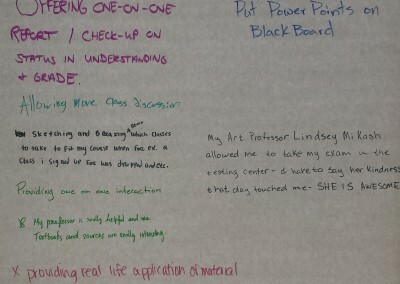 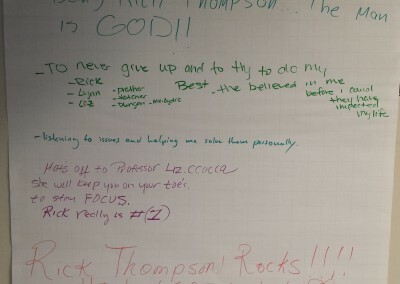 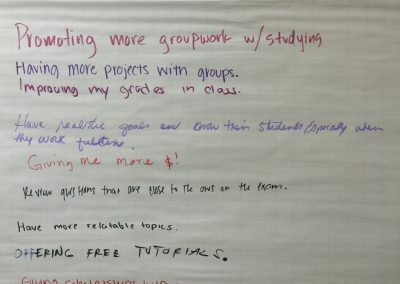 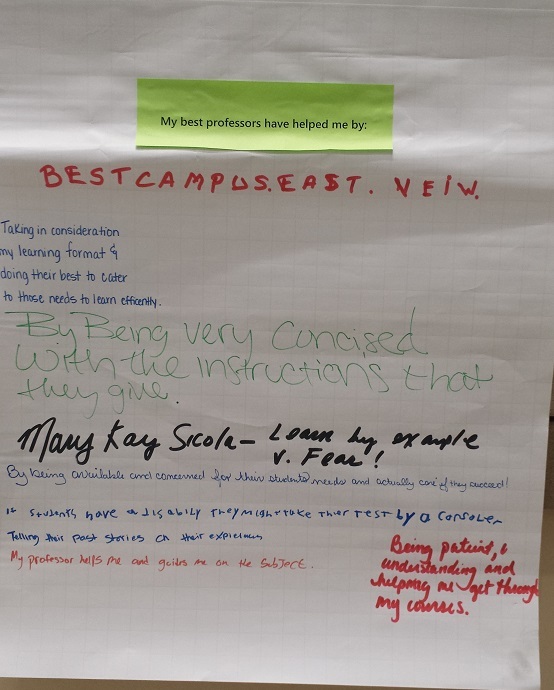 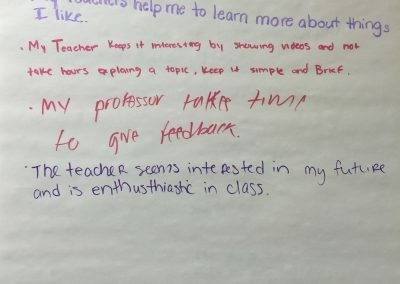 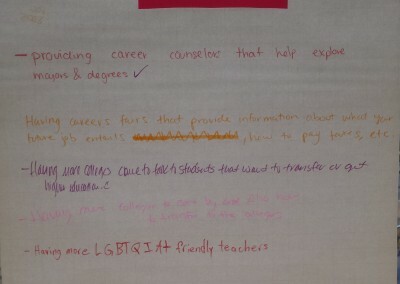 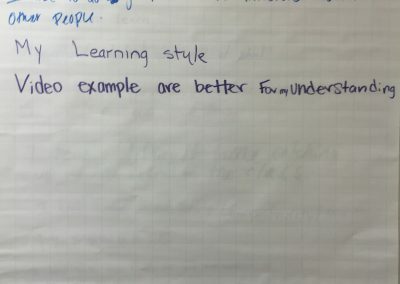 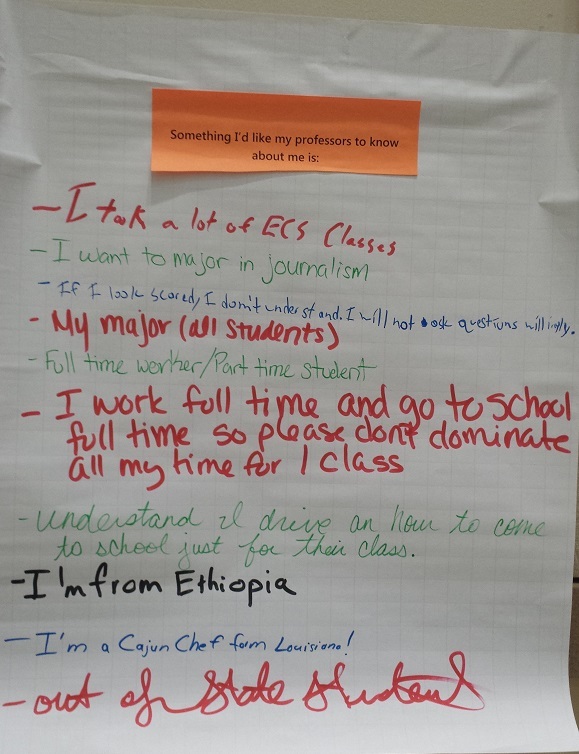 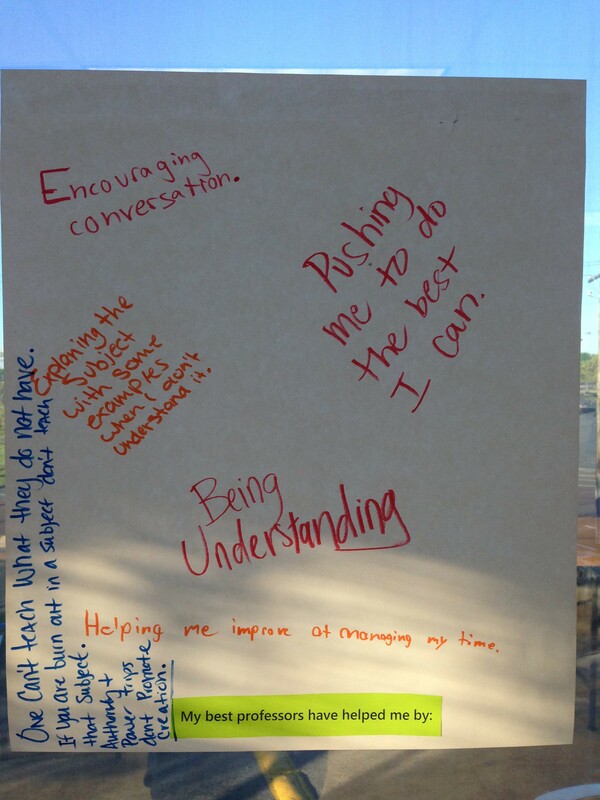 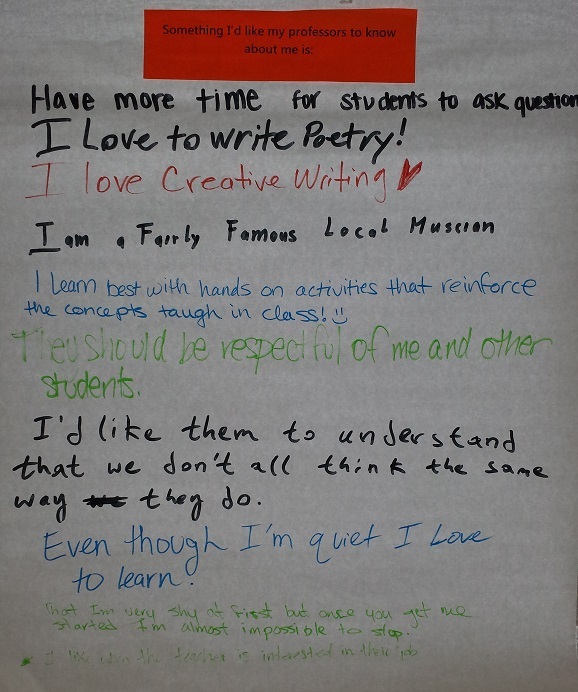 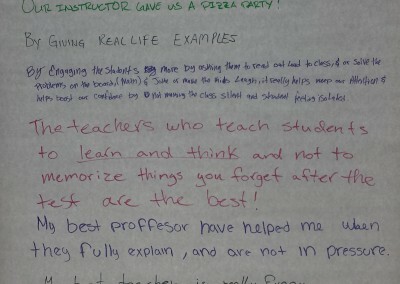 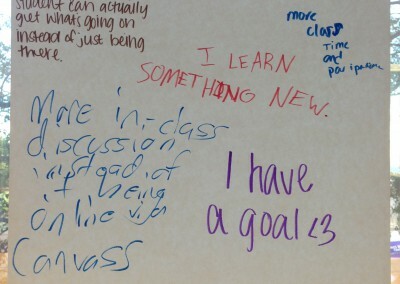 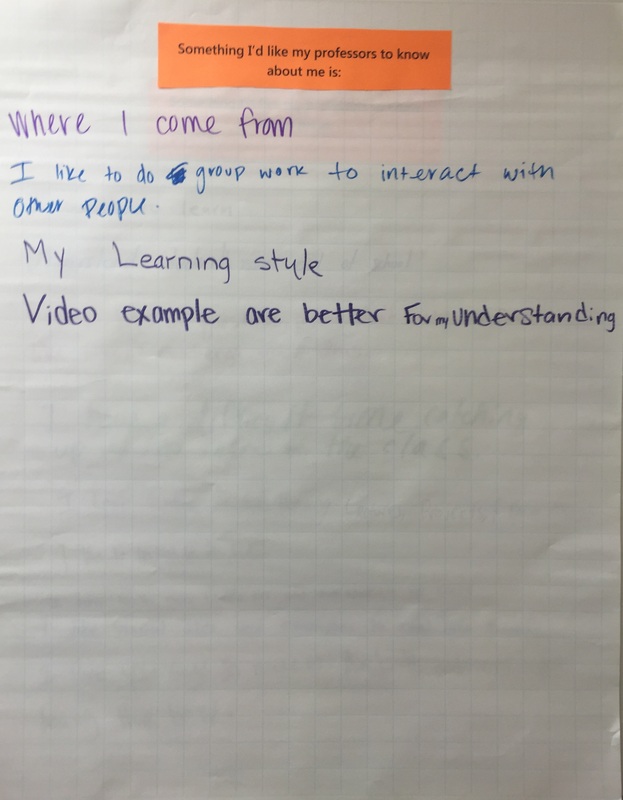 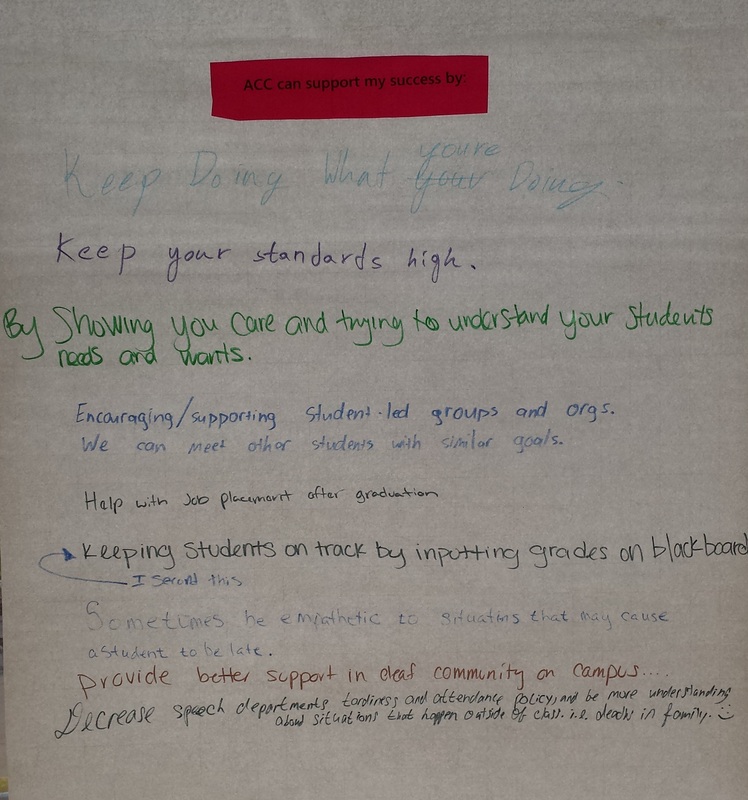 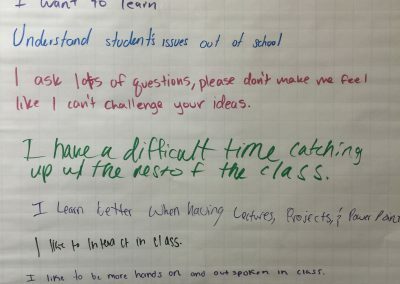 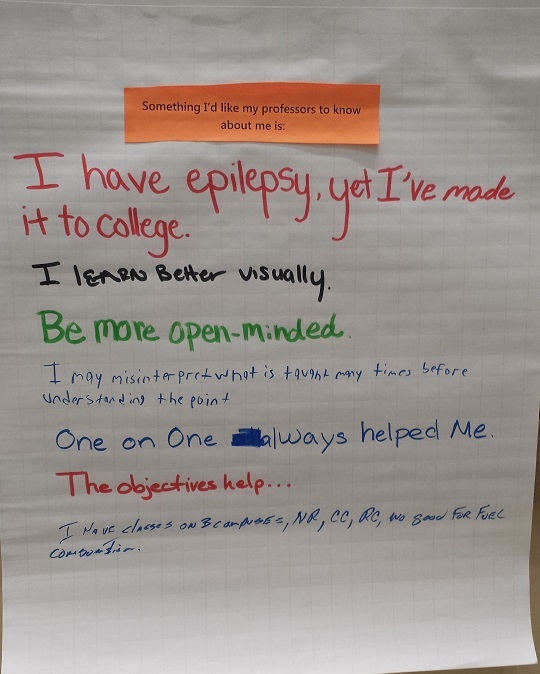 Check out some of the student responses below! 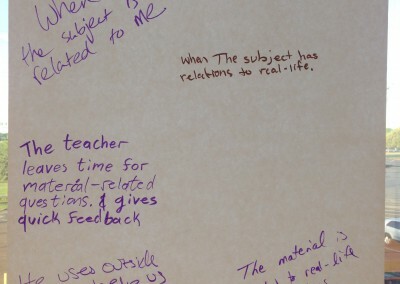 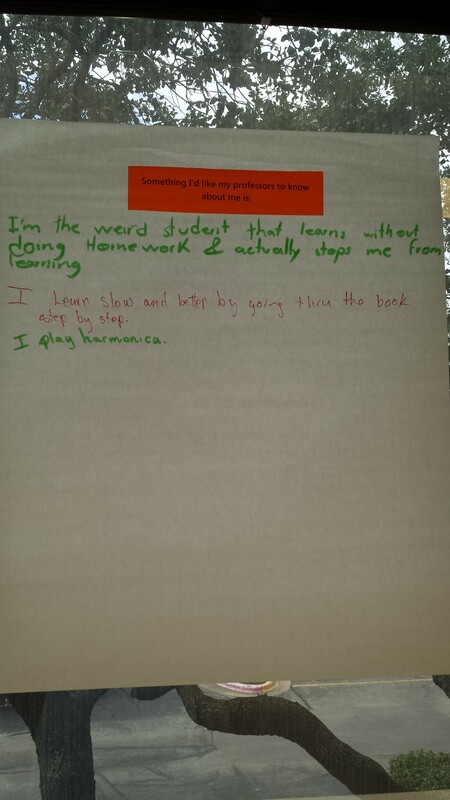 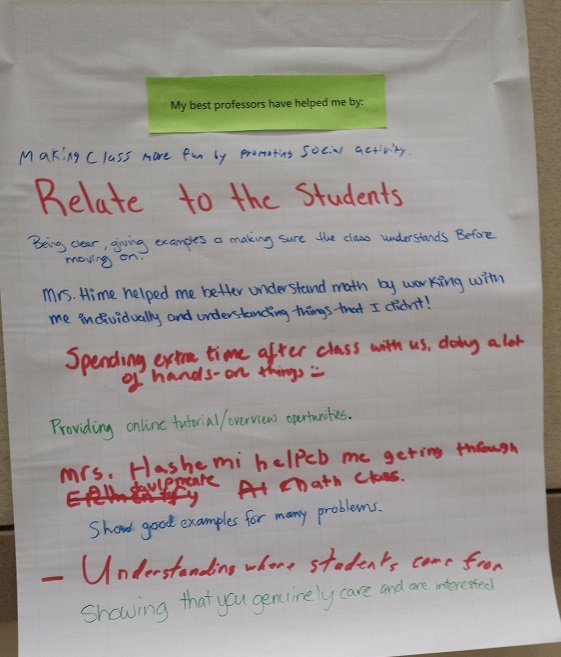 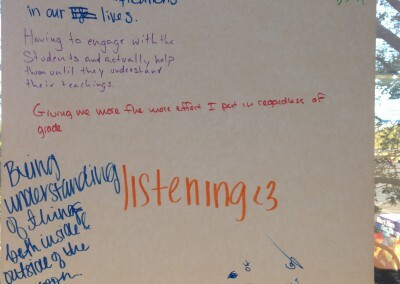 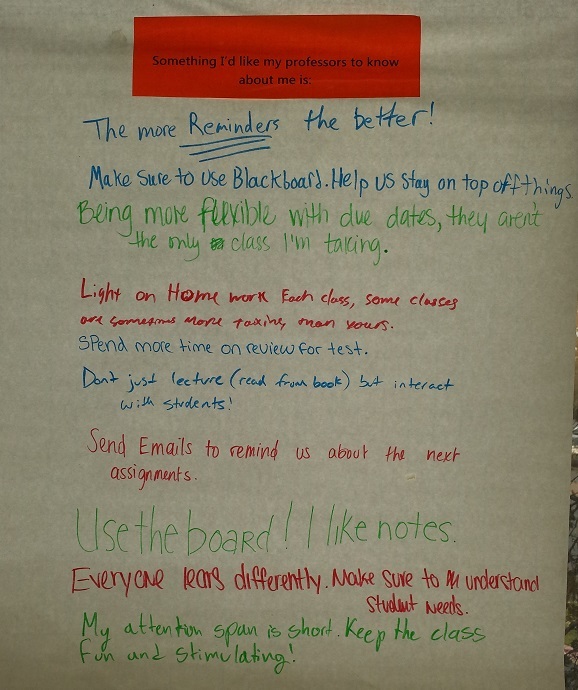 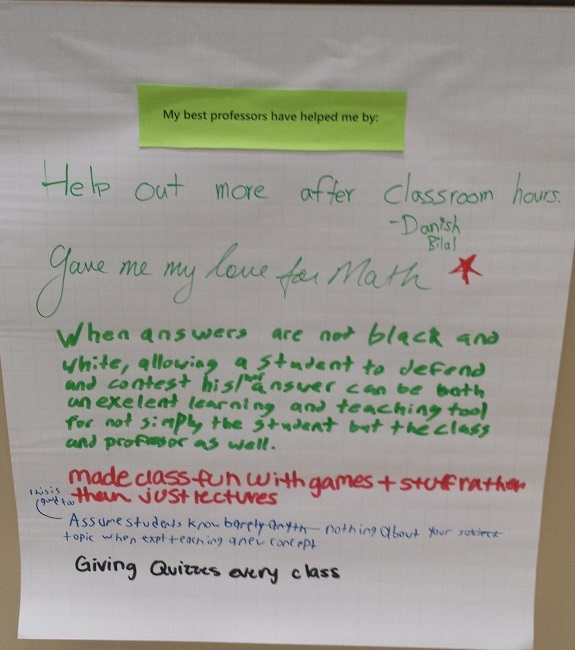 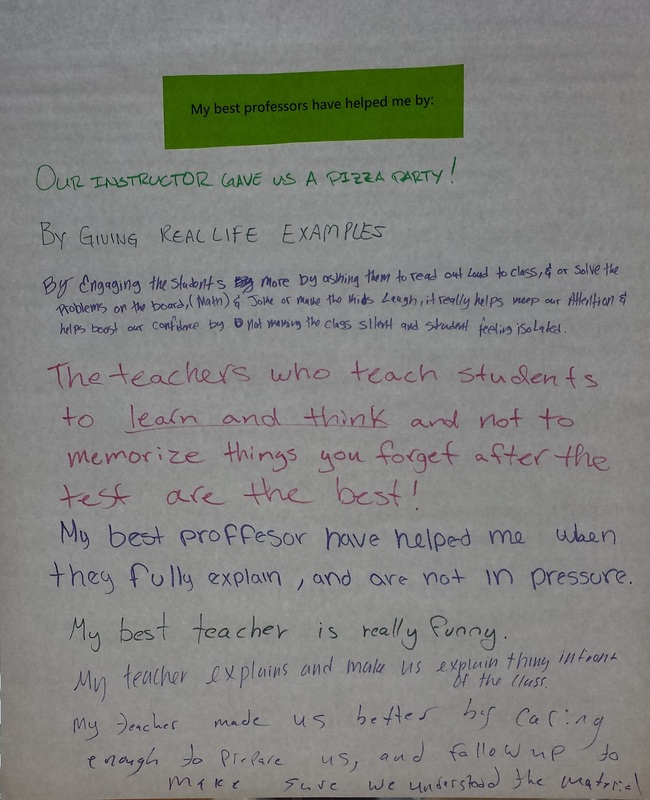 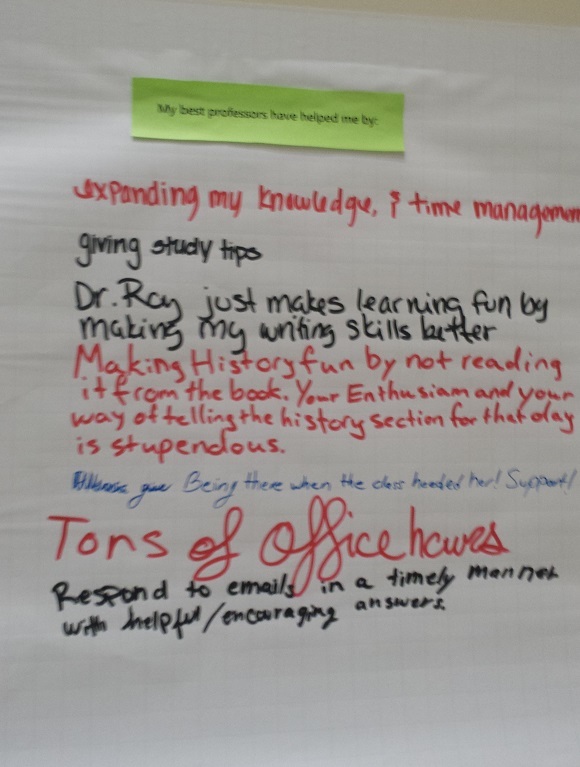 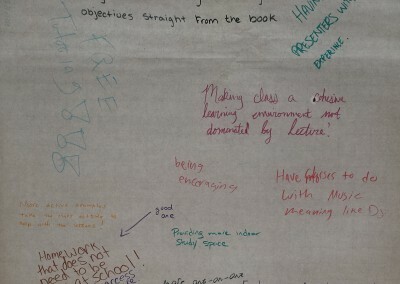 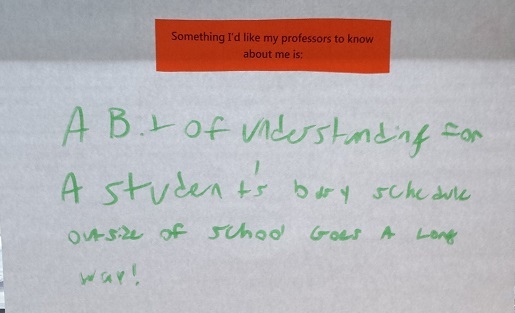 Find a full textual list of student responses here.